In a Nutshell: Buying a home, building credit, setting a budget, and saving money — these can all seem like colossal tasks when dealing with debt and other financial troubles. But consumers facing these challenges can find the support and information they need through websites like credit.org. The site hosts an array of educational resources like webinars, financial tools, guides, and informational videos that tackle issues just like these. Those who require more immediate assistance in dealing with their personal debt situations can connect with a certified financial counselor through the website or via a phone call. Credit.org also offers home-buying workshops and classes to assist first-time buyers in successfully navigating what can be an intimidating purchasing process. By taking advantage of these offerings, consumers can eliminate their debt, improve their credit, and start reaping the benefits that come with improved financial stability. For many people with financial issues, purchasing their first home can seem like an impossibility. That was exactly the case for one Southern California resident, who had assumed she wouldn’t be able to finance a home on her limited income. For her, the dream of homeownership — and the financial and personal benefits it entails — seemed precisely that: a distant, intangible dream. But that was before she attended a first-time home-buying workshop hosted by credit.org. There, she learned about practices and financial products that could help her overcome her hurdles. And thanks to this knowledge, she was able to put some of those concepts in action and is now the proud owner of a home. Credit.org is a nonprofit organization that offers free financial counseling, educational events, and resources. Its goal is to promote financial literacy nationwide, and to that end, it provides an array of valuable services and materials. These include in-person classes and workshops in Southern California; and live, personalized advice and guidance from NFCC-certified consumer credit counselors via phone; and a variety of online classes, guides, tools, and webinars. Through these resources, credit.org supports consumers in their efforts to build credit, buy a home, and eliminate debt from credit cards and loans. Consumers who take advantage of credit.org’s educational offerings are able to obtain the information and guidance they need to improve their personal finances and discover their own path to financial wellness. Credit.org’s coaches work with clients to review their debt, income, and expenses. Together, they create a personalized action plan that allows clients to eliminate their debt, build savings, and improve their overall financial standing. “Often when they phone, they aren’t even aware of what the root cause of the problem is,” Opperman said. 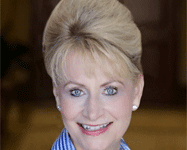 She told us many people call in seeking relief from an immediate issue like overwhelming debt. Often, though, this situation is only a symptom of a more fundamental problem. For example, the debt could be attributed to reduced hours at work that caused someone to use credit to pay for day-to-day expenses over the course of several months. In cases like these, the current debt situation shouldn’t be the main concern; consumers, instead, should focus on increasing income and developing sustainable spending habits. With information and assistance from a credit.org coach, consumers can take control of their finances, address their underlying issues, and find a manageable path to happiness and prosperity. “The whole cornerstone of financial security is receiving that financial education, and then knowing what options and solutions are available so the consumer can take action,” Opperman said. FIT Academy is an online suite of classes that allows consumers to educate themselves about personal finance and money management. The courses are free to the public, do not require registration, and the materials are available at the user’s convenience. Topics covered include budgeting, preventing identity theft, understanding and improving credit reports and scores, debt management, and avoiding foreclosure. For users looking for a quick primer before diving into a topic, credit.org also curates a library of free videos on subjects from debt, budgeting, and saving to achieve personal goals to advice on finding a credit counselor. Users will also find videos on avoiding scams on mortgages and payday loans; understanding, managing, and improving credit profiles; avoiding hazards like identity theft and foreclosure; and home-buying tactics and pitfalls to guard against. Some of these topics are also covered in Spanish-language videos to reach a broader audience. For more in-depth information, avid readers can avail themselves of credit.org’s downloadable guides. These resources address homeownership, responsible credit use, coordinating finances with spouses and partners, cutting holiday costs, educating children on financial literacy, and avoiding hazards like predatory lending and identity theft. Credit.org has various calculators, like this one for budgeting, to help people understand their spending. 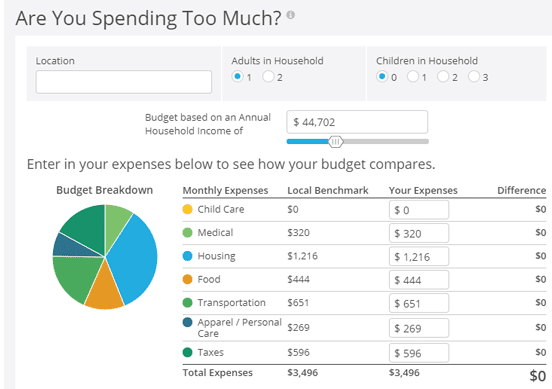 Credit.org also makes available a downloadable, ready-to-use budgeting spreadsheet to track income and expenses. Financial calculators can help users understand the full cost of their debt, the benefits of saving, tactics for investing, and planning for retirement. If users run across any unfamiliar terms, they can look them up in the free financial glossary. And to stay up to date, readers can access credit.org’s financial blog, which further addresses debt, money management, and home buying. For those planning to purchase a home or experiencing trouble navigating the homebuying process, credit.org provides educational workshops to guide them along their way. These workshops offer information, resources, and tools that will help consumers develop the confidence and knowledgebase they need to become confident homebuyers. California residents can attend these workshops in person at locations in San Diego and Riverside. The workshops are also offered as online classes to engage a wider audience. Users can sign up for these in-person and online classes on credit.org’s homebuyer workshop page. To prepare consumers for homeownership, credit.org offers a comprehensive online homebuying class that meets Housing and Urban Development guidelines and exceeds the National Industry Standards for Homeownership Education. Melinda Opperman, EVP of Community Outreach and Industry Relations at credit.org. The self-paced course is divided into easily digestible, topic-based modules, all of which can be completed in four to six hours. The entire series is mobile optimized, so users can engage the material from their couch, over coffee, on the bus, or anywhere else they have internet access. “People can sign on at a time convenient to them, start soft, and receive really powerful tools and education about becoming a homeowner,” Opperman said. Upon completion, users will receive a certificate that is typically needed when applying for special loan programs. Users who complete the course will also get free access to credit.org’s Smart Start educational series, which helps prepare homebuyers to become successful homeowners. Financial education, improving credit, and buying a home are all inherently valuable courses of action for most consumers. But — just as debt and financial difficulties are symptoms of some deeper issue — these objectives are merely stepping stones to a larger financial goal: the accumulation of wealth. Wealth building isn’t simply the purview or privilege of the already-well-to-do; it’s something that every consumer can do and, moreover, something that everyone should strive for. Whether it’s money saved and set aside in a retirement or rainy-day fund, or owning a home to build equity and improve credit, this sort of wealth creation is the foundation of every consumer’s financial health and stability. And it all starts with practicing basic financial habits like budgeting, saving, investing wisely, and using credit responsibly. “A lot of people don’t realize bad credit costs you a lot of money. If you improve your credit, it saves you money — significantly,” Opperman said.